So my adorable baby chicks are growing up! They are about 6 weeks old or so and while they aren’t tiny little cute fluffy babies, they are still pretty darn cute… Especially since they are getting all their feathers in and are TOTAL fluff butts! I am actually surprised at how much I am enjoying having chickens as pets. It’s a lot of fun pretending to be an urban farmer! Every morning I go let them out and they go racing off into the yard to eat up all the ants, weeds, and roaches. When I go out to feed them some treats they come running over to me! It’s so cute! I am super excited for them to start laying eggs in a few months, I’ve been spoiling them rotten so they better reward me with some nice fresh eggs! 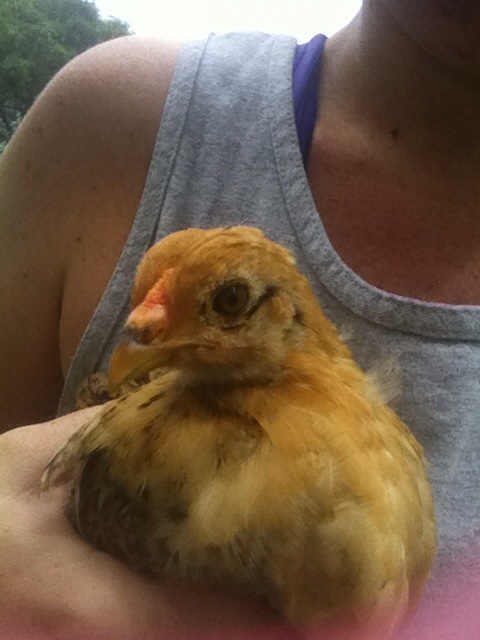 I know, I know I have plenty of people who think I am crazy for raising chickens but I am really enjoying it. I have my dream homestead where I have dozens of chickens and a milk goat and a garden (not sure who is doing everything on this magical homestead) Omar just laughs at me because I don’t think his idea of retirement and mine are too similar at the moment. Eh, I have a few years to talk him into it! 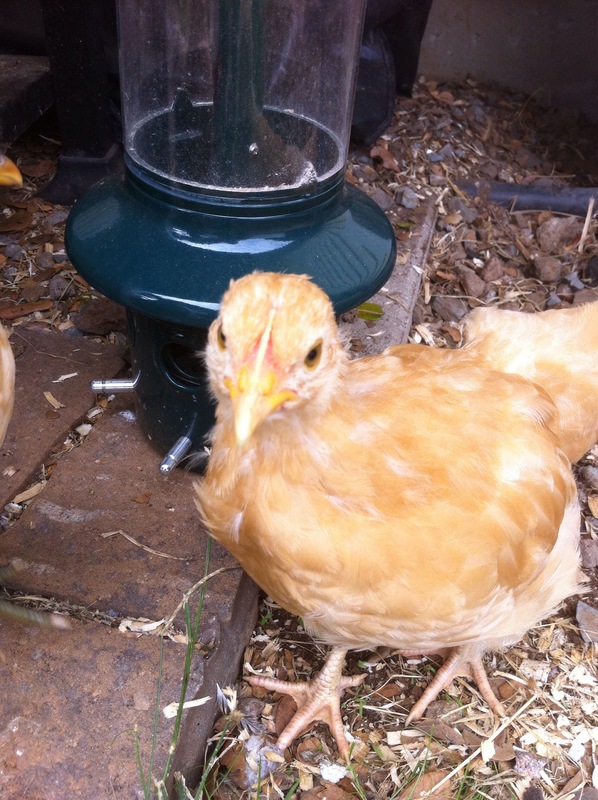 I actually raised chicks – twice and they are amazing fun and totally cute. Fresh eggs are a bonus! They are so entertaining to watch! Looking forward to some fresh eggs! that is so cute!! i don’t think you’re crazy for having chicks, i think its awesome! !